The grapes are sourced exclusively from family owned vineyards in the village of Treiso; from one of the best sites in the area on the ‘Il Bricco’ estate and the great hill of San Stefanetto. The grapes are hand-harvested, then gently pressed and fermented on the skins for 20 days at 25 to 26°C in stainless steel. 35% of the wine is then aged in mid-toasted French oak (a third new) for 30 months. The remaining 65% spends three years in 20 to 50 hectolitre casks. The 2013 vintage can be defined as “traditional” due to the late end to the harvest season, which began in mid October and finished towards the end of the month. Although the region experienced a very hot summer, with many days exceeding average annual temperatures, the harvest was delayed due to an uncommonly cool spring with heavy rains. 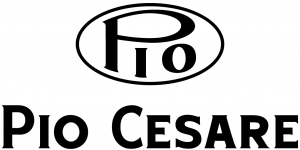 The spring rains allowed Pio Cesare’s vineyards to benefit from the high summer temperatures, which extended well into September and October. The lengthening of the growing season allowed the grapes to reach perfect phenolic and physiological ripeness, producing grapes with the capacity to make wines of excellent structure and ageing potential. Therefore, wines from the 2013 vintage require many years bottle ageing to reach their true potential. A very classic style of Barbaresco: elegant and velvety with ripe and spicy red fruit. Firm and structured tannins with an elegant and satisfying mouthfeel. Good structure and concentration. Very long ageing potential.